Like many of the Lebanese who grew up during the civil war, Mohamad-Said Baalaki, known asBaal, witnessed the horrors of war and the tragic consequence of destruction and fear –displacement.To his despair, when Baal left for Berlin to continue his studies at the Berlin University of Arts,he witnessed yet another form of destruction and displacement.In his solo exhibition “Sense of Ending”, piles of suitcases, radios, toys and other possessions –sometimes abandoned, sometimes nearly collected – are reminders of loss and the missingowners. With a palette of colors, Baal delicately depicts impressions of an interrupted childhoodhaunted by instability, reflecting the fragility of the human condition during war.Born in Lebanon in 1974, Baal now lives in Berlin. 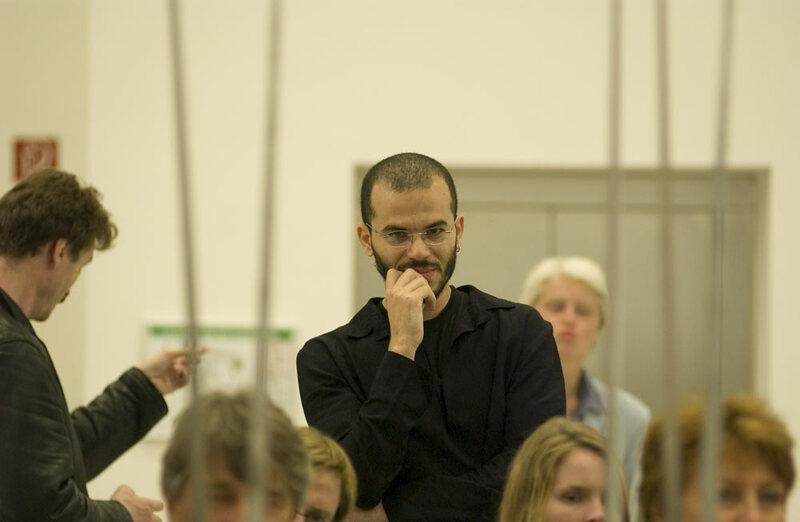 He first studies painting at the Institut desBeaux-Arts, Beirut (1998), followed by the Marwan Summer Academy at the Darat al Funun inAmman (2001). He then studied painting at the University of the Arts, Berlin (Universitat derKunste Berlin), attending the master classes of Burkhard Held (2005). He graduated with aMasters of Arts from the Institute for Art in Context, University of the Arts, Berlin (2008).